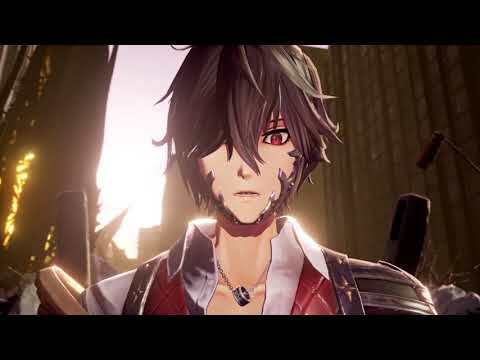 Code Vein x God Eater: The Blanched Greatsword, Cerulean Spear and Crimson Longsword; three of the fan favorite weapons from the successful Bandai Namco’s series God Eater are making their way to Code Vein. Blood Veil Ogre “VENOUS CLAW”: Venous Claw is an exclusive type of Blood Veil Ogre; a devastating short-range weapon that’ll prove a Revenant’s best friend in their fight against the lost. Accessory Set: Coming with a brand-new blood code “Harbinger” for special character stats; exclusive communication stamps for multiplayer’s coordination and customization options to make one’s Revenant truly shine. Code Vein’s Original Soundtrack including over 20 tracks. 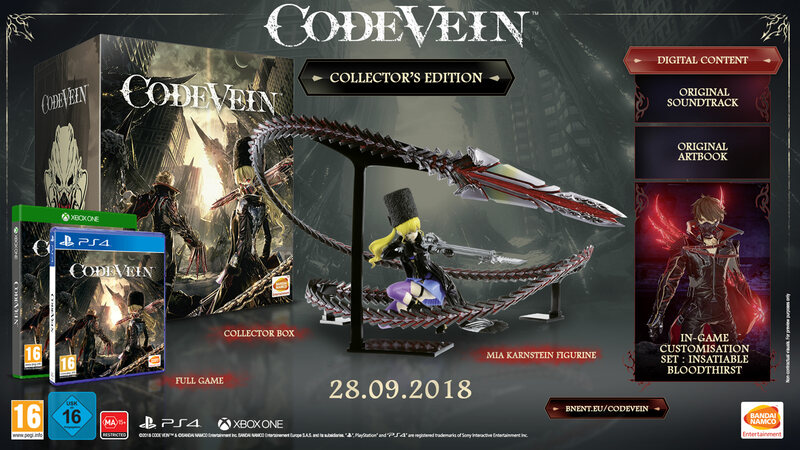 Code Vein’s Original Artbook for an exclusive peak at production sketches, concept art and guest artwork. In-game customisation set: Insiatiable Bloodthirst.